Signature Campaign Surpasses a Million! Campaign marches forward to September session of UNHRC! It has been a heartening moment for World Tamils to see that the Million Signature Campaign launched by the Transnational Government of Tamil Eelam (TGTE) calling for Sri Lanka to be referred to the International Criminal Court (ICC) has reached its goal. This Campaign has played a significant role in internationalizing the Tamil struggle for Justice and in galvanizing Tamils around the world and their international civil society counterparts on the path to justice. With a strong sense of solidarity, we grasp the hands of all who participated in this campaign and all those who worked hard to make this Campaign such a resounding success. An impressive 1.2 million people from around the world have endorsed this Campaign, including those who placed their signatures on paper. The number of people participating from India, especially those in Tamil Nadu, has exceeded 600 thousand. The numbers are swelling further as the momentum gathers across the villages of Tamil Nadu in this relentless search for justice. Over 100,000 people have joined this Campaign to date from the Tamil Eelam homeland, despite living under the threat of an occupying army. The conditions there are such that no one is allowed to canvass for this campaign, nor are the political leaders there given permission to support this campaign. This demonstrates how eager the Eelam Tamil people are in demanding justice for the crimes committed by the Sri Lankan State. People living in countries such as Malaysia, Singapore and the Gulf States and in the Tamil Diaspora have participated in this initiative full of enthusiasm. The people of Tamil Nadu have played a significant role in transforming this Signature Campaign into a mass movement it became. The TGTE Solidarity Centre in Chennai, under the able leadership of Professor Saraswathi, has coordinated Tamil activists from many walks of life including political parties, student movements, youth organizations, journalists, cinema stars and stage artistes, lawyers and other professionals, and face book users to create this remarkable development. We are thrilled to hear about the warmth and enthusiasm of the people when receiving our comrades who went around collecting signatures. We have no doubt that the strength of support demonstrated in Tamil Nadu for the demand to refer Sri Lanka to the ICC would help place some moral pressure on the Government of India. Under the conditions prevailing in the Tamil Eelam homeland, many activists have worked behind the scene to make this Campaign a success, at some risk to their lives. Likewise, it has been through the broad participation of many among peoples’ movements, journalists, artistes, students and face book enthusiasts that has made the Signature Campaign reach its target in numerous other countries. We wish to bring out some of the fundamental reasons for initiating this Signature Campaign. We sensed a ground shift taking place in Sri Lanka following the regime change, and the risk of all of our expectations for an international investigation into to war crimes, crimes against humanity and genocide against Tamils being shrunk into a simple domestic investigation. There was also a compelling argument put forward that for the reason that a domestic investigation could not be justified in this case, an internal investigation supported by international expertise would become the recommendation with the possibility of describing it as a hybrid mechanism with international credibility. We are convinced that neither a domestic investigation nor any form of a hybrid mechanism would deliver justice for our people in Sri Lanka, and there is no political will on the part of the Sri Lankan State to do so. Under these conditions, it is the Tamil people, as a nation without a state, who would have to utilize all the power available to them and the support of the international community to take their case to the UN and the international community, and call for an international investigation in the face of an ongoing genocide. We believed that a memorandum signed by no less than one million people would offer a very strong base for the just struggle of the Tamil people, and thus the demands contained in our Signature Campaign would be something the international community in all fairness could not overlook. 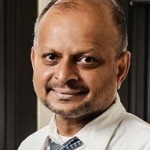 There have been views expressed detracting from the Signature Campaign, arguing that the State of Sri Lanka is not a signatory to the Rome Declaration under which the International Criminal Court (ICC) was established, and therefore that this matter should be for the Security Council of the UN to discuss. Proponents of this view further state that there were states sympathetic to Sri Lanka in the Security Council who would use their veto power in order to protect Sri Lanka from any accusations, thus nullifying any gains to be made from the Signature Campaign. We have taken these aspects into account, and we are well aware of the challenges that exist in any effort to bring Sri Lanka to the ICC, and the time and effort such a process would take. However, what remains as the first step of our strategy is to present to the UN a well-argued demand, built on our conviction and with strong support of the people, something that the international community acting according to universal human values and ethical principles could not turn down. We need to enunciate our claims clearly and boldly and we should be relentless in seeking support for our demands. Even those states hesitant about supporting our claims in the first instance could not reject the just nature of our case. The genocidal acts committed by the Sri Lankan State can no longer be covered up. It is now known to the world and no one can deny justice to our people. We would not let justice be denied. The time would be here soon when the international community has to acknowledge that neither the domestic process of Sri Lanka nor a hybrid mechanism would deliver justice for the Tamil people. At that moment, the international community would be compelled to go towards an international inquiry. The super powers do not always exercise their veto power at the UN Security Council. For instance, China did not use its veto power in the case of South Sudan. Today, the Civil Society organizations concerned with protecting the moral and ethical norms in society are gaining a greater influence in foreign policy relations among the international community of nations. This growing role of the civil society movement will create the conditions in our favor. There is no reason for us to ignore all these global change processes and remain idle without meaningful action. Besides, the outcome of a Signature Campaign could not be judged simply by the stand taken by certain countries alone. This Campaign has enabled us to once again internationalize the struggle of the Tamil people, and to build a strong sense of solidarity among the Tamils around the globe towards our struggle. The Campaign has delivered a great opportunity for the world Tamils and the global civil society to forge ahead at a time when the need for the Tamils to come together as a powerful force to win their struggle for justice is at its highest. We are making arrangements to submit this memorandum along with more than a million signatures to the UN Human Rights Commissioner soon. We shall request the Commissioner to take our demand into account in the Report that is expected to be presented by him in September this year. We will also endeavor to gain support from the member states of the UNHRC. 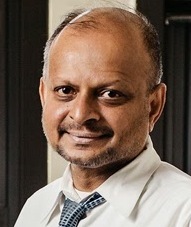 In the event of the UNHRC recommending the creation of a domestic inquiry in Sri Lanka or a hybrid process, the TGTE shall take the struggle for justice forward in full force with the moral and political boost derived from this Signature Campaign, and drawing on the power of the world civil society movement committed to justice. We plan to take on a massive campaign to refer Sri Lanka to the International Criminal Court or to an equivalent international course, when the UNHRC convenes in September. Coinciding with this, we expect to see uprising of people’s rallies in the Tamil Homeland, Tamil Nadu and throughout the Diaspora. To add the necessary strength to our demands, we have decided to continue this Signature Campaign until September, even though we have already reached our initial target of a million signatures. We seek your continued support to move this Campaign forward with vigor. Let us resolve that our struggle shall continue until there is justice to our people. Let us be guided by the dreams of those who sacrificed their lives for our noble cause! Let the world Tamils forge ahead in solidarity until we win our freedom! Thirst of Tamils is Tamil Eelam.